This is my point of view . These might not be correct. Only one single religion and multi gods.....alike Hindu religion. We have been feeling our Japan polytheism is multi religions and multi gods . We have been feeling always with " Kami"s (Shintou Gods) and "Hotoke"s(Buddihms). We always live together with another religions in harmony and respect each of them . Religions of Japan never attack another religions. The SHINTOU is the polytheism and folk religion of JAPAN . Shrine means the SHINTOU Shrine. 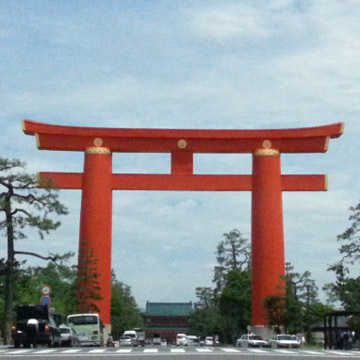 Shrine has TORII GATE but Budhism temples never have TORII GATE . 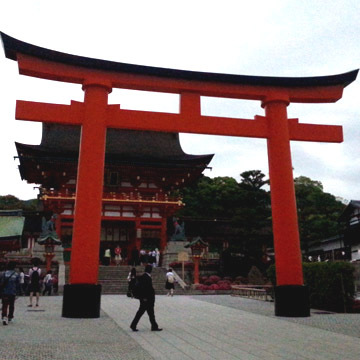 There are alot of kinf of SHINTOU Shrines. At biginning ,,, SHINTOU does not have any shrine house or building . They had housies and buildings which were called temples. There never be any cult image. Very pure . The SHINTOU is very much related natures , creations and generations . So that when people had new baby then go to SHINTOU shrine for new baby ritual. When people build new house or building then call SHINTOU priest for ritual. you have to be purified yourself. There are more than 8 millions "KAMI"s .
I know GOD is very unique being in Monotheism . But We Japanese are mainly Polytheism . We have been told that there are more than 800 millions "KAMI"s .
So that We feel that GOD is one of 800 millions "KAMI"s .
You better not take any animals into the Shirines . "KAMI" might get angry . You better avoid curse . SHINTOU never tell anything to people . We people only pray for "KAMI"s .
There are alot of rituals for "KAMI"s.
SHINTOU never has any cult image. There never be any cult image inside the SHINTOU house or building. "KAMI"s are always invisible . Our "TEN NOU" (you called as "emperor" in English languege) is the top priest of Japan SHINTOU. Our "TEN NOU" has been always praying to "KAMI"s for our good living and good health . Buddhism was founded in 5 centuries BC at the Nothern part of INDIA near by Pakstan by SHAKA who is human. 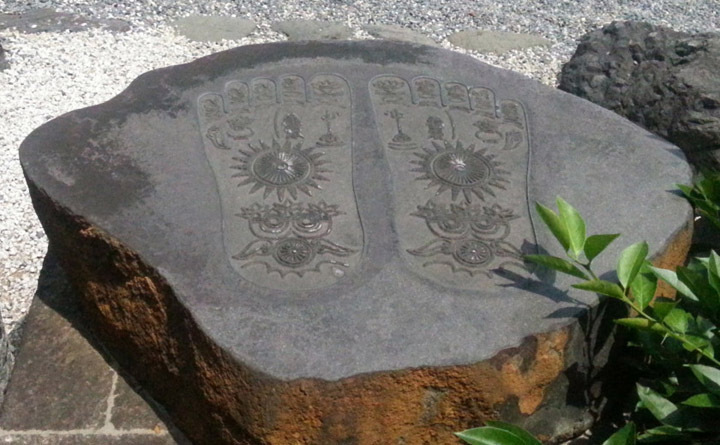 These 3 pictures has named "Bussokuseki" which means "Foot print of Buddha" . When SHAKA died then he left a message that is "Do not make any cult image of me " . SHAKA is just standing where at his foot print was. Arrived JAPAN island in 6 centuries AD. There are alredy multi millions of Buddha cult image statues . About 1 century BC then people could not realize what Buddha was . People had been told that the Buddha was so shinning as gold . 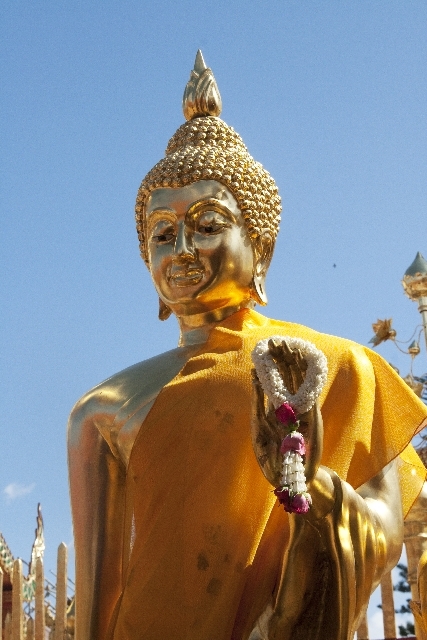 So people made golden Buddha statue as picture shown above . It took 1100 years to arrive this JAPAN island via Himalaya Mountains, Tibet, China and Korean Peninsula. It had taken tooooooooooooooo long . Translated and edited more than twice. There are mainly two kind of Buddhism. One is the SHAKA Buddhism which is the almost original founded 5 century BC. 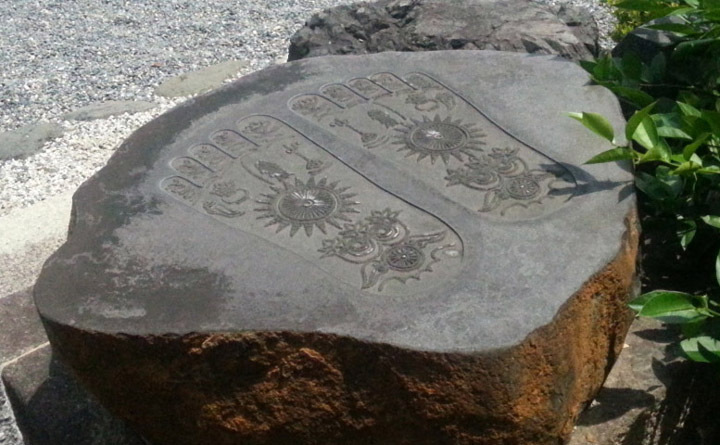 Another one is AMIDA Buddhism which is found about 1 century AC . SHAKA did not know anything about AMIDA Buddhism. SHAKA Buddhism is how to get the enlightenment . AMIDA Buddhism is how to help the people. There are a lot of modifications from the original. Some sects of Buddhism monks can marry , can have child , can have asset . There are many sects in one Shuu. they are mainly talking to help people. Monks had to learn 6 sects at the beginning of Buddhism. They are talking somethings about Buddhism heaven. So that people in Japan normally use Buddhism when it is funeral . The most easy way to go the Buddhism heaven. Just say "NAMU AMI DABUTSU " just before death . At the 6 centuries, Government of JAPAN had used Buddhism to govern this country . Many ancient religions merged into the Buddhism . Very much mixed . ZEN is the newest Buddhism in JAPAN . ZEN had arrived about 12 centuries AD. There are 3 sects in ZEN type religions. but those might be very ancient another religions . The Nestorianism called "KEI KYOU" in Japanese language. The Nestorianism had been in China and temple named shown below. arrived this country Japan . where place is named "UZUMASA". There is a museum in the "Kouryuu Ji" temple which feel very much alike the Mesopotamia . "Nestorianism in Buddhism style". "SHIN GON SHUU" was very much effected by Nestorianism . but there is a some difference between "JI" or "TERA" . Called "JI" temple was founded by government budget. Called "TERA" sometimes "DERA "was founded by people donations. Example Kiyo Mizu Dera , Mi Bu Dera . Some Temples have the formal name and nickname . 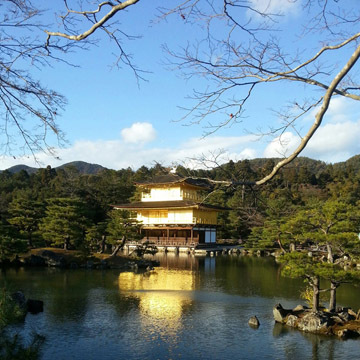 Golden Pavilion or Golden Temple is a nickname . Formal name is the " ROKU ON JI "
Silver Pavilion or Silver Temple is a nickname . Formal name is the " JI SHOU JI "
Our JAPAN Government normally never pay any money to temples and Shrines. So they have to make living by them self . KANNON only works in present time. Very much related with the SHIBA of INDIA. KANNON change 33 different styles . So there are 33 windows at "San Jyu San Gen Dou"(33 windows house) . 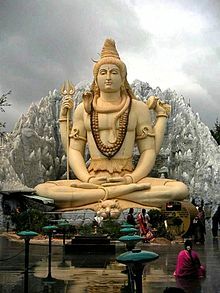 KANNON is always helping people in present time . KANNON does not talk about Buddhism Heaven. KANNON had arrived very much earlier than Buddhism . 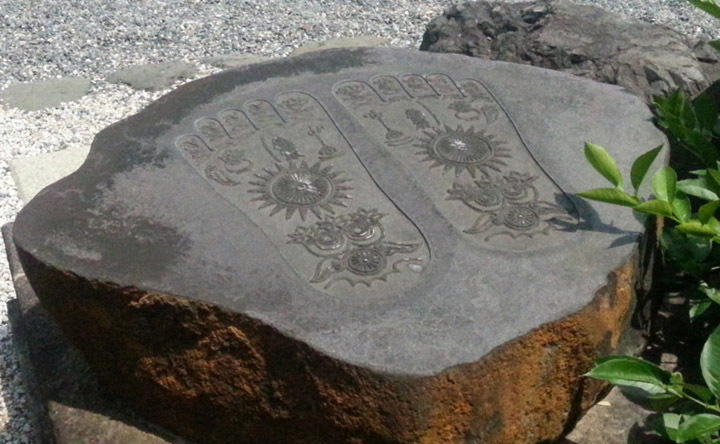 KANNON Religion might be used via sea line . (1) At the first, In the ancient time , People had afraid great nature and curse. People try to avoid dangerous nature and curse then Japan SHNTOU had begun. (2) At the second, Kannon had arrived via sea line . (3) At the third, Buddhism had arrived via land line . SHUGENDOU is also very much original folk religion of Japan . Very much mixed with ancient SHINTOU , ancient Mountain religions , Buddhism and others . Monks of SHUGENDOU normary excised and trained in the high altitude mountain area . TEN NOU means the king of king . TEN NOU does not have any stake between the TEN NOU and people . TEN NOU is untouchable being. TEN NOU is very spiritual being. TEN NOU is the top priest of SHINTOU. TEN NOU has been spending very much time for SHINTOU ritual . TEN NOU does not have last name . TEN NOU is now 125th generations. It is now 2017 in western calender. It is now 2676 in our TEN NOU calender . A combat airplane which was named "Zero fighter" was registered at 2600 in our TEN NOU calender. We Japanese people call " TEN NOU " in Japanese language as called in English language as EMPEROR . We Japanese never called "TEN NOU" as " KOU TEI ". "TEN NOU" is TEN NOU . "KOU TEI "is emperor . Napoleon was called Emperor Napoleon. SHOU GUN was the top leader of SAMURAIs. SHOU GUN had controlled military, government, economy and　politics . SHOU GUN had to be given yhe title from the TEN NOU . SHOU GUN had functioned alike the prime minister nowadays . but SHOUGUN must be obeyed to the TEN NOU . Copyright Tadashi KAWAKAMI 2014-2019 All right Reserved.